$25 worth of products, plus business supplies! Today's first card was made with the Label Card Thinlits (as opposed to the Circle Card Thinlits - they are different). 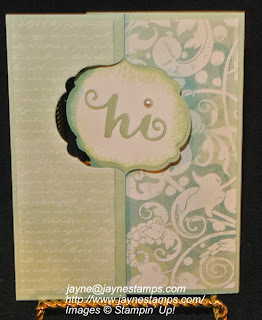 I love the soft colors in this paper from the Venetian Romance pack. The card stock color is Pistachio Pudding. 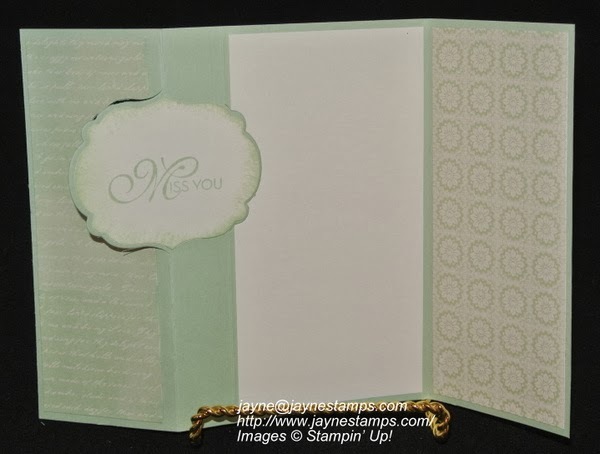 If you need to make a card for a more somber occasion, using soft, muted colors will help your card have the appropriate feel. This next card could be used for many occasions, but I decided to make it into a sympathy card. 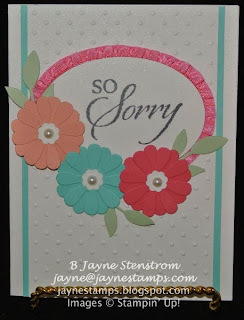 The stamp set So Sorry is a perfect one to have on hand for so many of these occasions. I saw this basic design somewhere on-line, but I can't remember where. If you are the original designer of this beautiful card, please let me know so I can give you credit. 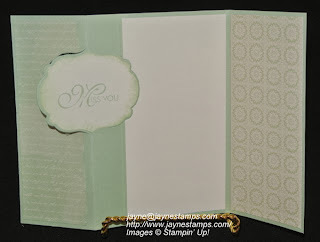 So the next time you need a sympathy, thinking of you, or get well card, think subdued colors and simple layout. Your thoughtfulness will be greatly appreciated, I'm sure.